After making big waves in India and across Europe, one of the most impressive budget devices in recent memory is finally up for grabs stateside. Unfortunately, what you’re able to pre-order right now from B&H Photo Video is not technically a Xiaomi Pocophone F1 version designed specifically for the US market. That obviously means CDMA support for carriers like Verizon and Sprint is out of the question. Worse yet, this “international” handset with “international” LTE connectivity can’t achieve 4G network speeds on AT&T or T-Mobile either. If you don’t have a problem settling for 3G speeds on GSM operators, the good news is you can get a limited 1-year B&H warranty with these dual-SIM Pocophone F1 units. That’s something you don’t often see eBay sellers offer for devices not officially available in the states. As for pricing, B&H Photo Video is certainly not as generous as official Poco F1 retailers over in India. But it’s still hard to compete with a $370 Snapdragon 845 powerhouse also packing 6GB RAM and 64GB internal storage space. The same goes for the 6/128 gigs configuration, currently fetching $399.99, with both models available in Graphite Black and Steel Blue color options. The rest of the spec sheet is similarly remarkable for the sub-$400 category, including everything from a jumbo-sized 6.18-inch LCD panel with a notch and 2246 x 1080 resolution to dual 12 + 5MP rear-facing cameras, a single 20MP selfie shooter, massive 4,000 mAh battery, a rear-mounted fingerprint scanner, USB Type-C port, 3.5 mm headphone jack, microSD card slot, and Android 8.1 Oreo software. B&H Photo Video vaguely lists the Xiaomi Pocophone F1 as “coming soon”, providing no shipping estimate whatsoever for pre-order customers. But naturally, orders will be filled on a first-come-first-served basis, so you may want to hurry and pull the trigger if you’re looking for probably the world’s most powerful affordable phone. Why bother? For $450 you can pick up a Mix2s these days with worldwide bands. Good price for the phone with these specs, but no LTE is a deal breaker! 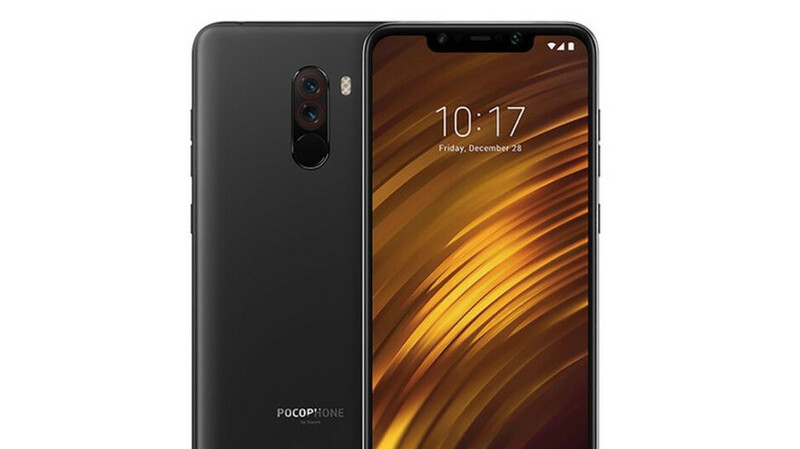 Maybe the word Poco means something else in Chinese, but if you look at a Spanish dictionary, Xiaomi would see that "poco" means small. This phone is anything but. Plus, there doesn't seem to be anything that stands out about this phone.